The body recovered from a plane that crashed in the Channel has been formally identified as the professional footballer Emiliano Sala, police have said. The families of Sala and Ibbotson have been informed about the latest developments and the investigation into the circumstances of the death continues, police said yesterday. The wreckage of the plane was discovered with an unidentified body inside on Sunday in a private search funded by Sala's friends, family and fellow players. Sala was on board a light aircraft being flown by pilot David Ibbotson from the French city of Nantes to the Welsh capital of Cardiff on January 21 when the flight lost contact with air traffic controllers. The 28-year-old Argentine soccer star was en route to Cardiff where he had recently signed a $19.3-million contract to play for Cardiff City FC. Sala's disappearance prompted an outpouring of grief across the footballing world, including at his former club Nantes in France where the plane was flying from. In this image released Monday Feb. 4, 2019, by the UK Air Accidents Investigation Branch (AAIB) showing the rear left side of the fuselage including part of the aircraft registration N264DB that went missing carrying soccer player Emiliano Sala, when it disappeared from radar contact on January 21 2019. 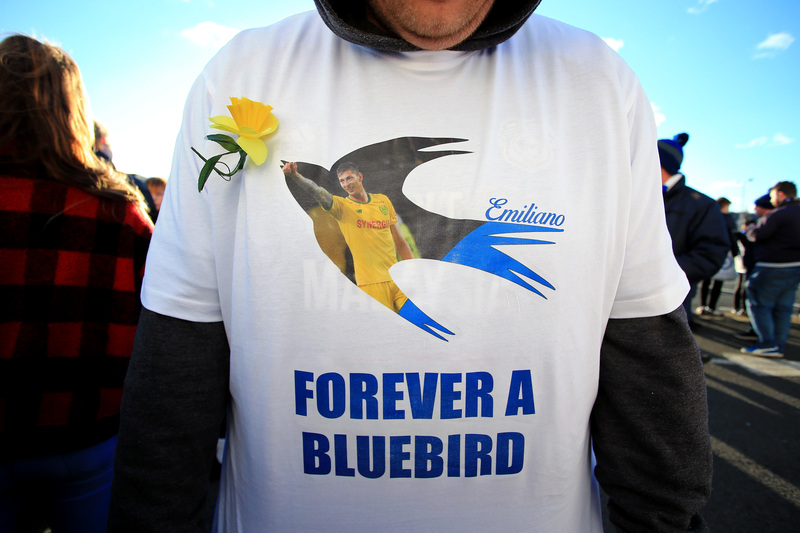 "We offer our most heartfelt sympathies and condolences to the family of Emiliano", Cardiff City said in a statement on Thursday. The AAIB has said it expects to publish an interim report within the month. The Argentine player has been honoured with tributes at matches in both the Premier League and Ligue 1 in France.